Short Strapless baby doll dresses. 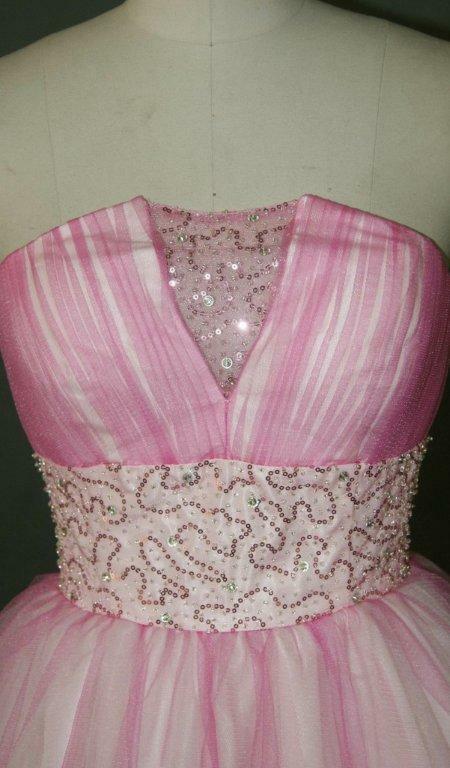 Short Strapless pink baby doll pleated dress for prom and pageant dresses. Strapless Tulle Overlay Full Skirt Cocktail Dress Make like a gorgeous fairy in this cocktail dress. Strapless, this dress has a sparkling inset at the center of the bust. Tulle overlay comprises the bust and skirt. A large band of bejeweled details take over the waist for a cinched look that moves into a full skirt for a whimsical finish. A perfect party dress. Your gown can be ordered in 29 available Tulle colors.